To save online, enter code AFF20 in the Promotion Code field as you're checking out. 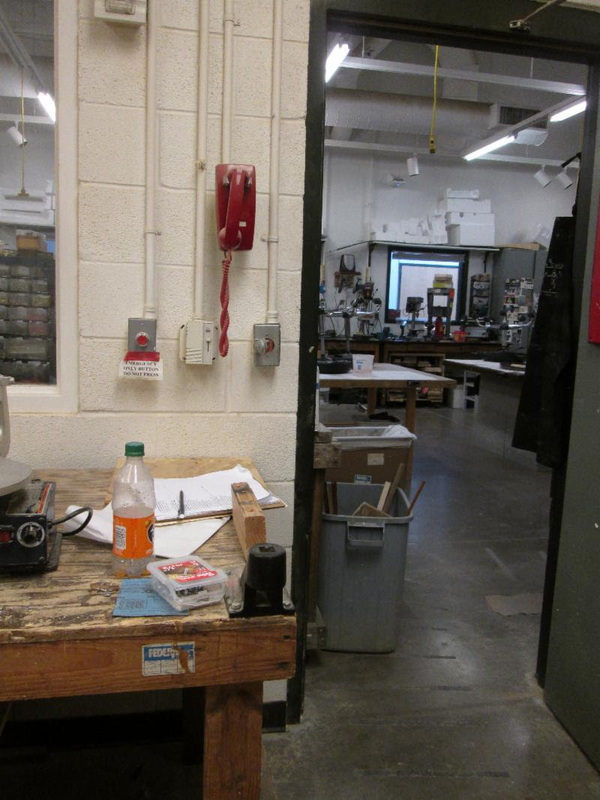 Designing for The 2010 ADA for Accessible Design in Multiple Building Types. 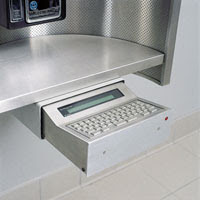 The 2010 ADA Standards for Accessible Design has a section 217 which tells us which telephones are required to comply with the standards. 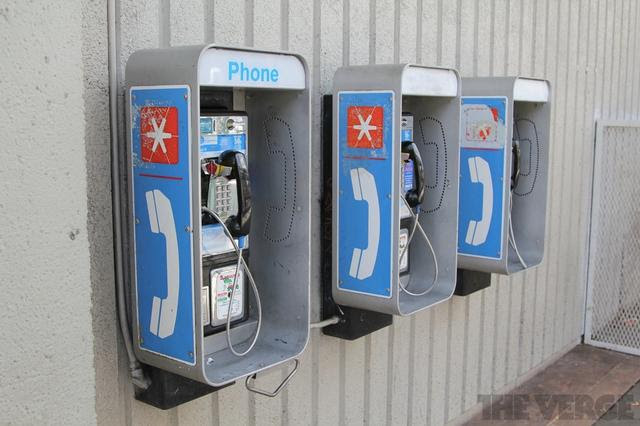 The ones listed are coin-operated public pay telephones, coinless public pay telephones, public closed-circuit telephones, public courtesy phones, or other types of public telephones. But there are many others that are required to comply that we don’t always think about. As the list above explains, not just pay telephones, but also courtesy phones, and “other types”. Other types will also include emergency calling devices. this is a courtesy phone that is required to be mounted within reach. This one is higher than 48″ a.f.f. 1) At least one of the telephones must be designed for the use by people who are in wheelchairs. 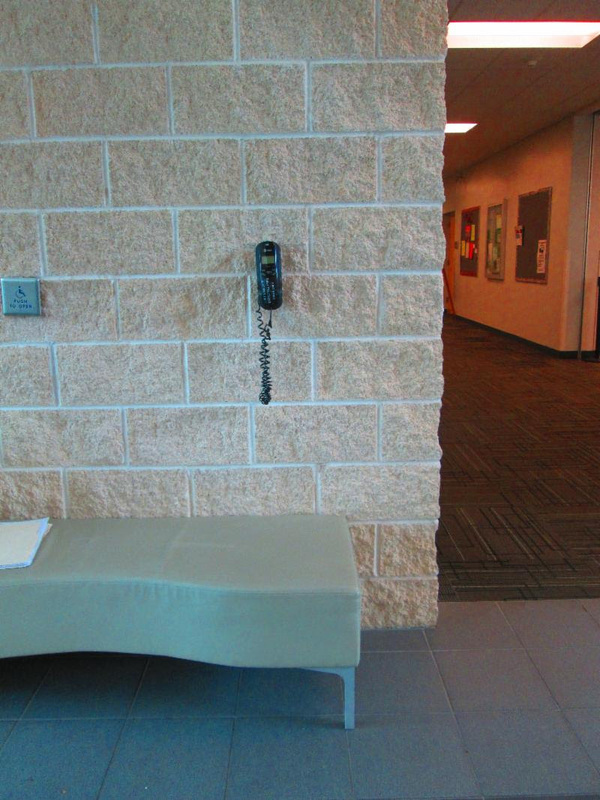 This phone is located behind the planter. 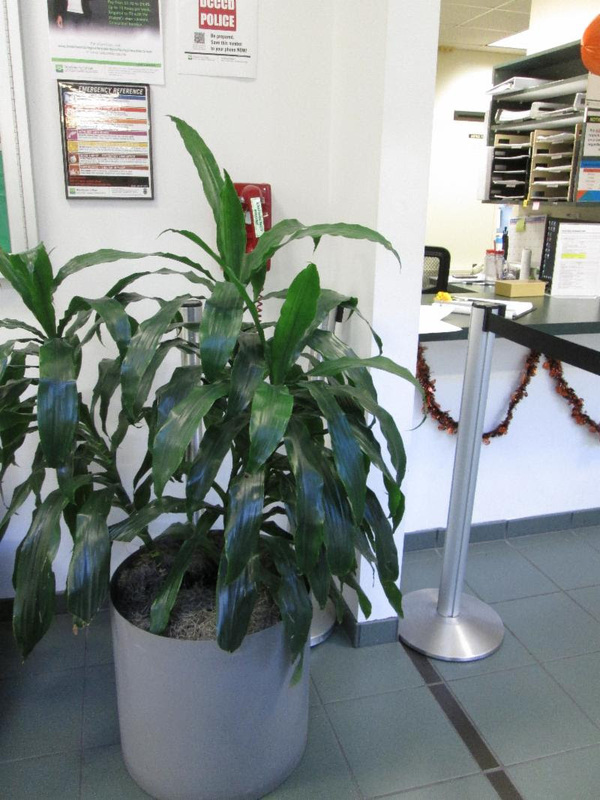 Even though the planter is not fixed, technically the phone does not have a clear floor space to approach it. c) Operable parts shall comply with 308 and 309. Telephones shall have push-button controls where such service is available. 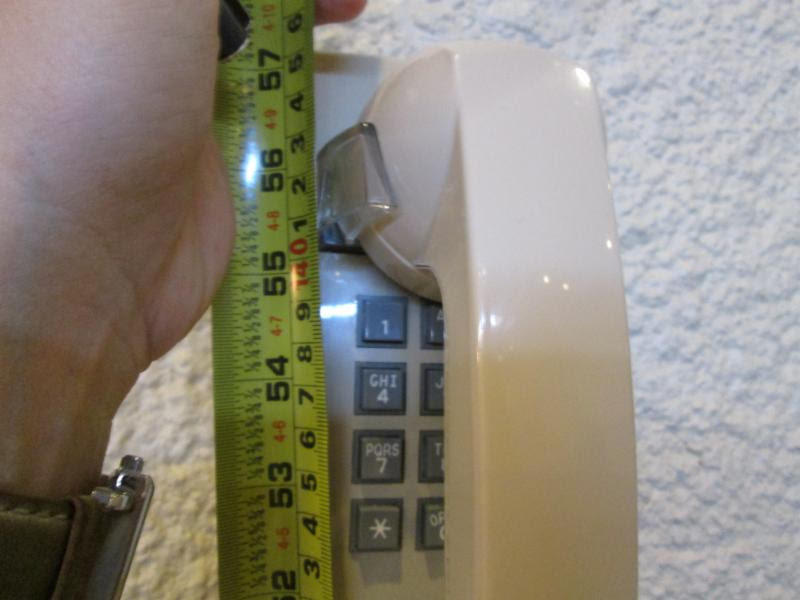 The operable part on this phone (the push buttons) were mounted higher than 48″ a.f.f. 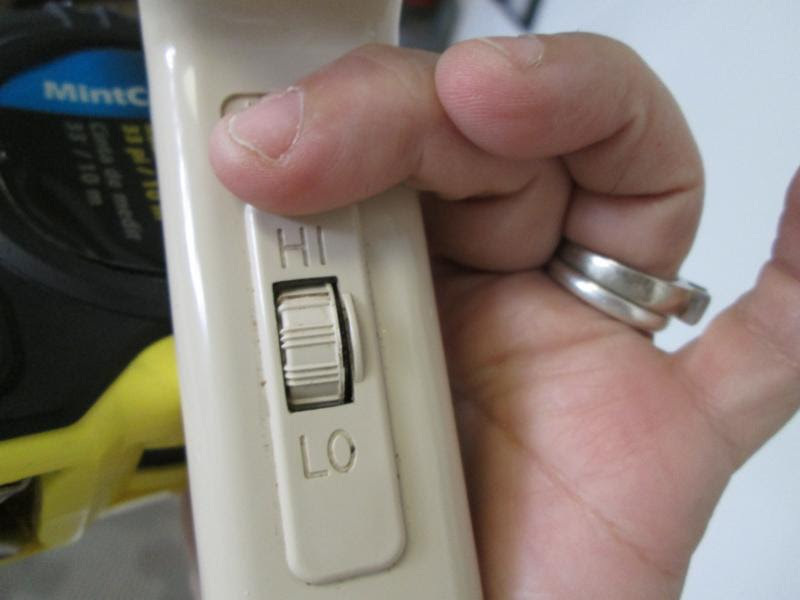 The button to call the police was mounted higher than 48″ a.f.f. 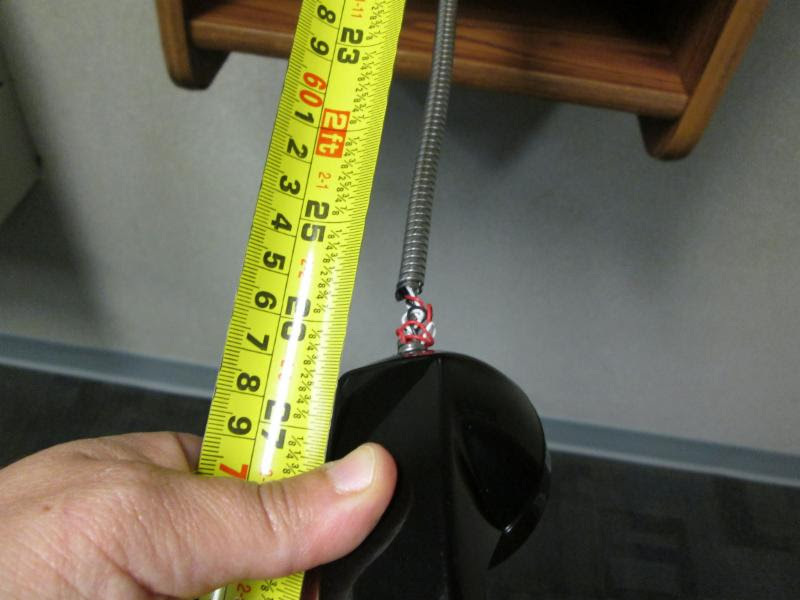 d) The cord from the telephone to the handset shall be 29 inches (735 mm) long minimum. 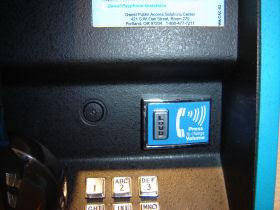 a) All public telephones are required to have volume controls. Volume controls shall be equipped with a receive volume control that provides a gain adjustable up to 20 dB minimum. For incremental volume control, provide at least one intermediate step of 12 dB of gain minimum. An automatic reset shall be provided. b) TTYs required at a public pay telephone and shall be permanently affixed within, or adjacent to, the telephone enclosure. 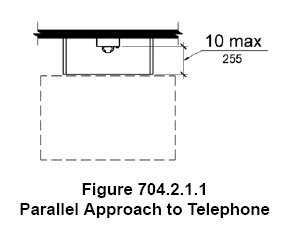 Where an acoustic coupler is used, the telephone cord shall be sufficiently long to allow connection of the TTY and the telephone receiver. 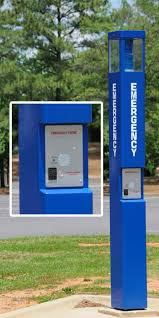 Emergency calling devices are not specifically scoped in the 2010 ADA Standards. 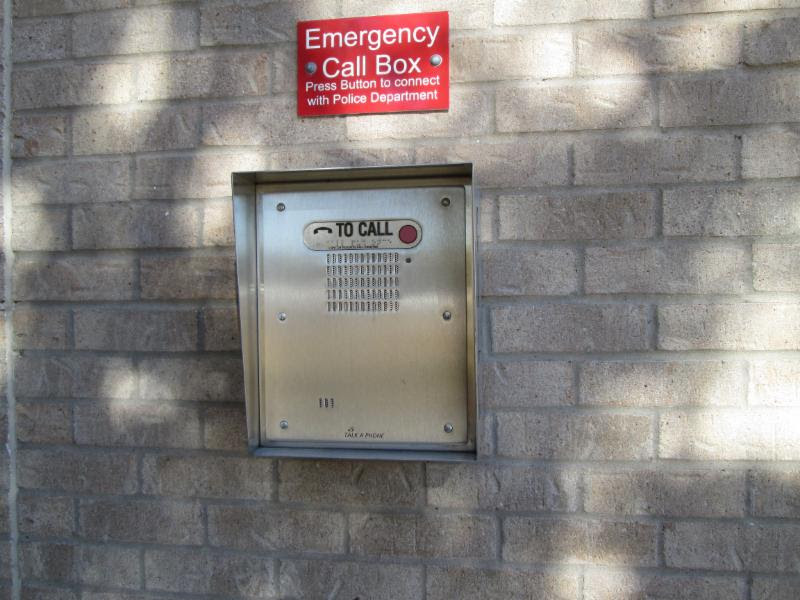 Some have considered these emergency calling devices to be subject as a two-way communication element if they only allow communication between the called and one party. 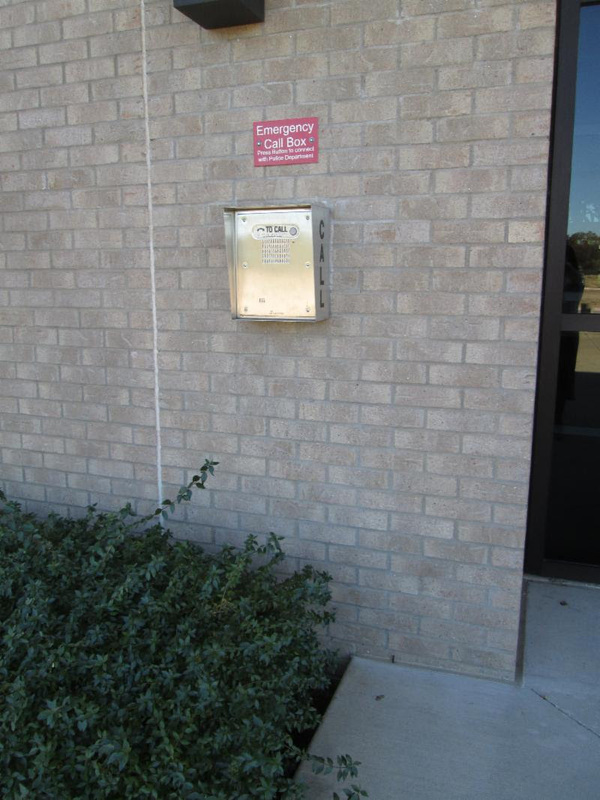 The standards only address two-way communication systems under 230 and 708 where admittance to a building or restricted space is dependent on the two-way communication system. The closest similar device for these emergency calling devices is a “closed circuit telephone” per the definition section of the standards. 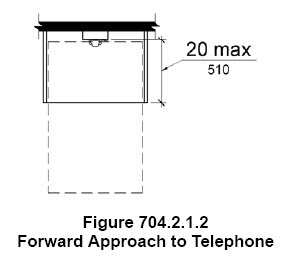 Closed circuit telephones must also comply with the requirements listed above and in section 704. But volume control is not a common feature for these devices. 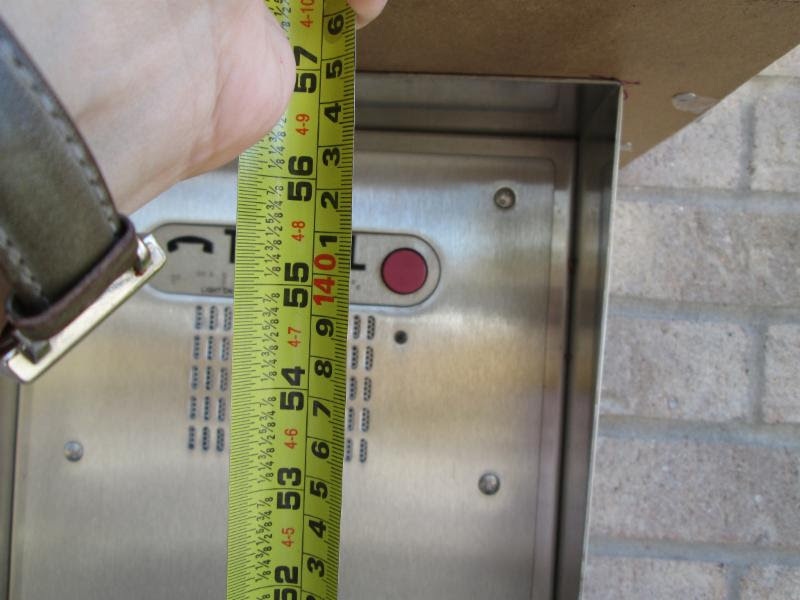 The use of the variance process in Texas is the only way you can achieve compliance. In the ADA there is no variance process and therefore when providing devices that are not fully compliant, you can use “equivalent facilitiation” to achieve compliance and documenting this within the owner’s organization. 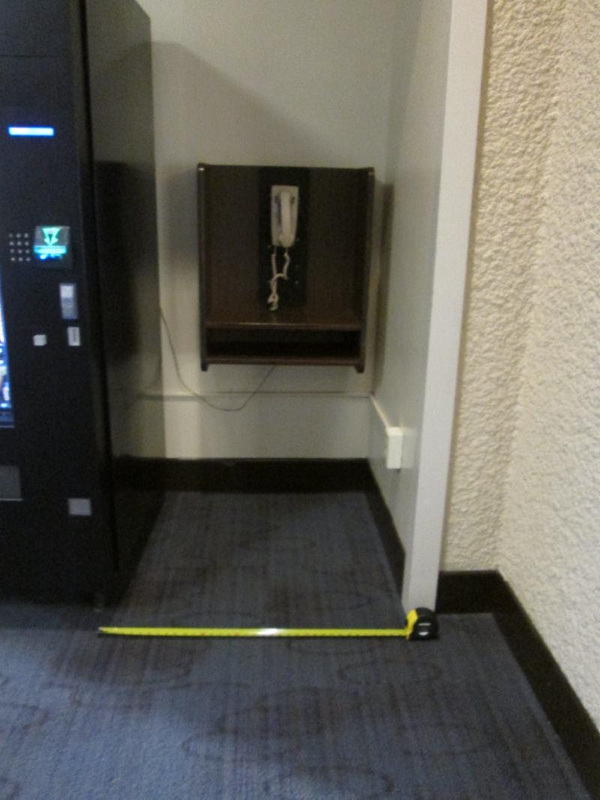 The telephones that are required to comply are not just the public pay phones that we are used to seeing in public buildings. 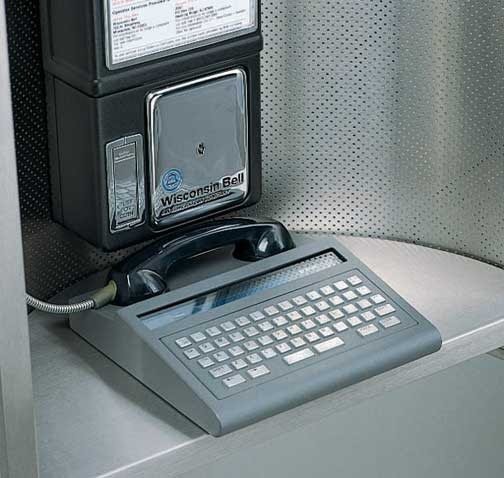 There are many more types of telephones that are provided in different facilities that require compliance. 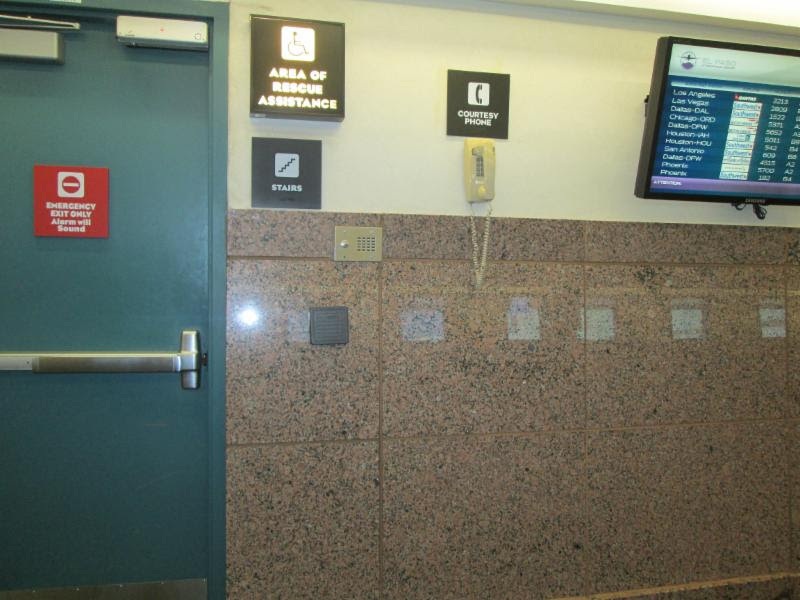 Airports, Hotels, schools and other places of public accommodations will provide a “courtesy” or “emergency” phones and will also require compliance with the ADA Standards so that persons with different disabilities can also communicate.